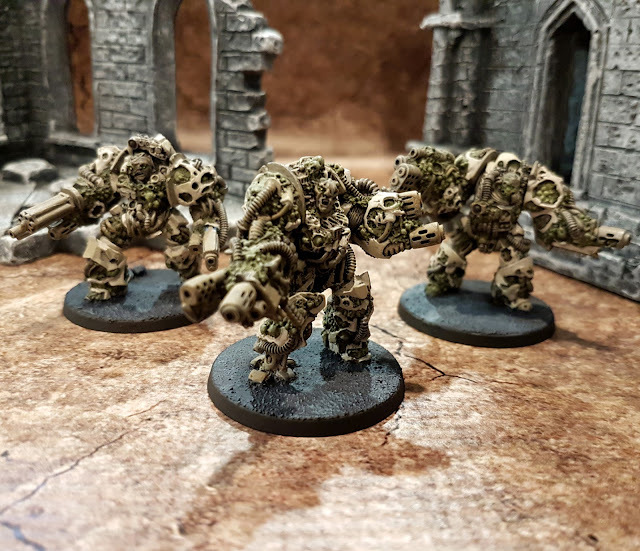 It has been a little over two months since I moved into my new home, and this group of three Nurglized Chaos Obliterators are the first things that I have finished painting! I have had these minis for a few years now, but honestly recently have I gotten around to painting them. Frankly I was a little intimidated, as they are incredibly detailed, and I knew that it would take me forever to paint them... Well unfortunately it looks like I waited too long. 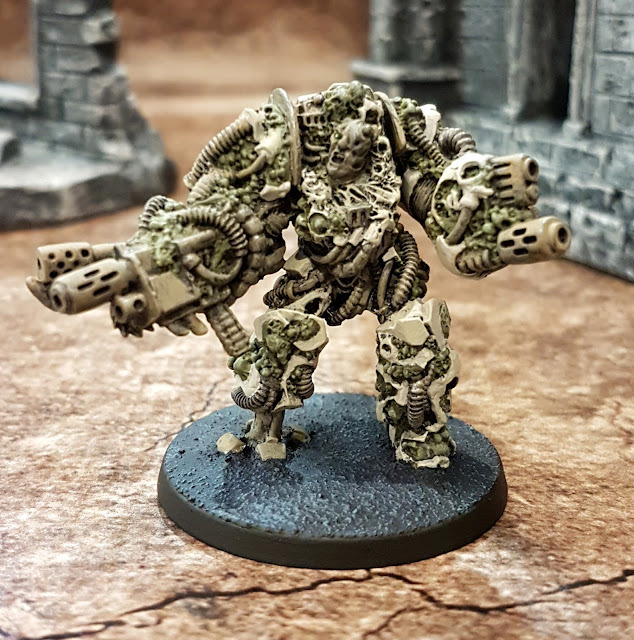 For most of Warhammer 40k's history, you were not allowed to give Chaos Marks to Obliterators. They could only be Chaos Undivided. 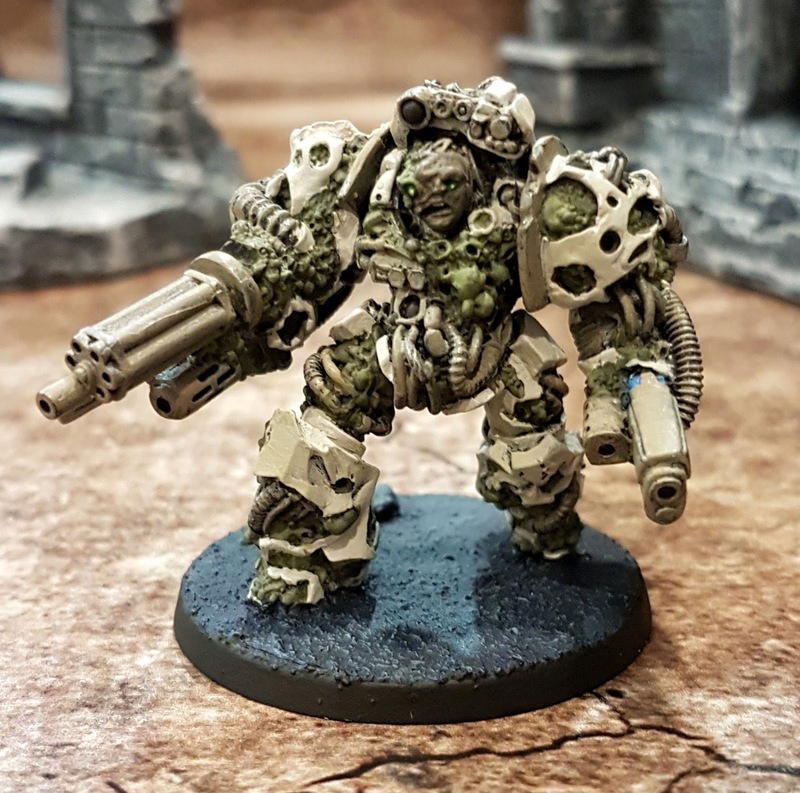 This was a real shame, as they were one of my favourite models, and since 3rd Ed I have been a Death Guard player, it meant I could not run them. In 6th Edition they finally lifted that restriction! 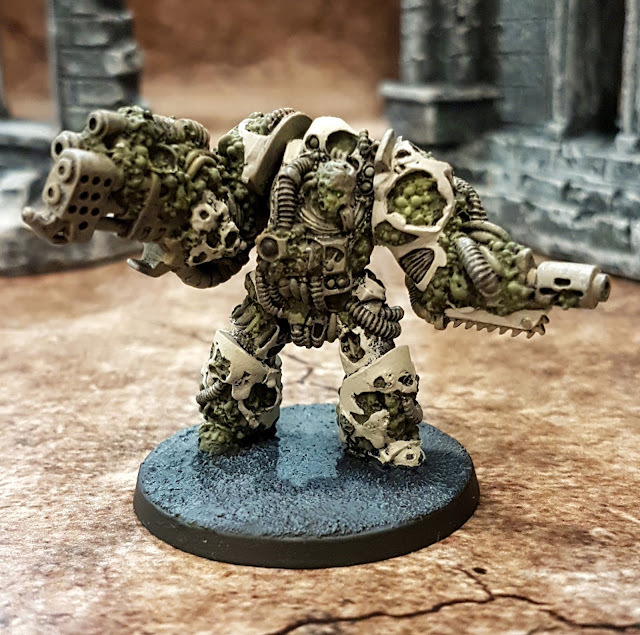 I could field Obliterators and give them a Mark of Nurgle. So I started looking for appropriate models, and found these guys from War Games Exclusive. I bought them... and then promptly stuck them on my shelf for the next 4 years. Well now that 8th edition has been released and the Death Guard have their own codex, they are no longer able to field Obliterators! Totally removed from them from the book, and of course you can't mark things in 8th edition because it doesn't work like that anymore. So I have three super cool Obliterators that don't fit into my army. Luckily 8th Ed has a solution for me. I can run a detachment of standard Chaos Space Marines, and in one of my recent army builds that is exactly what I am doing. So these guys may not be Plague Marines in name, but they certainly got that look. Set II Factory Rejects are Back!